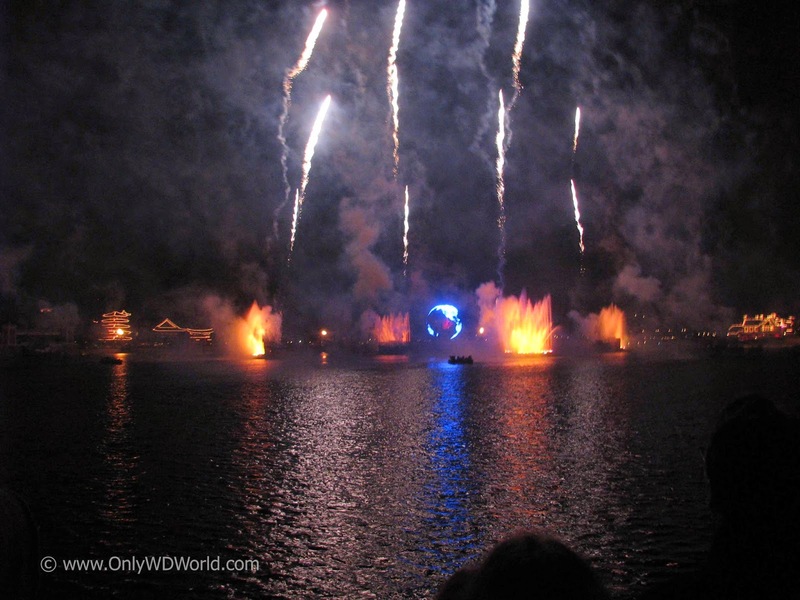 The Fourth Of July is certainly a time for America to celebrate and if you happen to be at the Walt Disney World Resort you will have a variety of options. 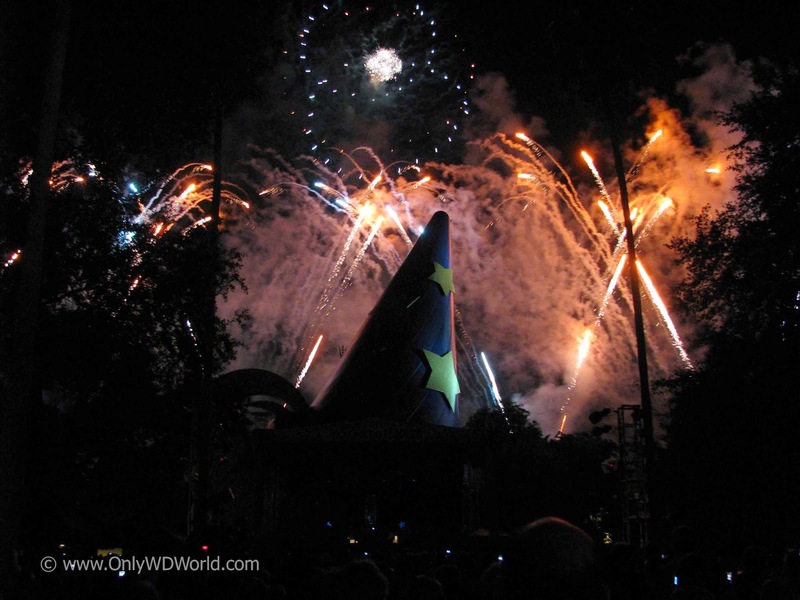 There are 3 different fireworks displays for guests to choose from. 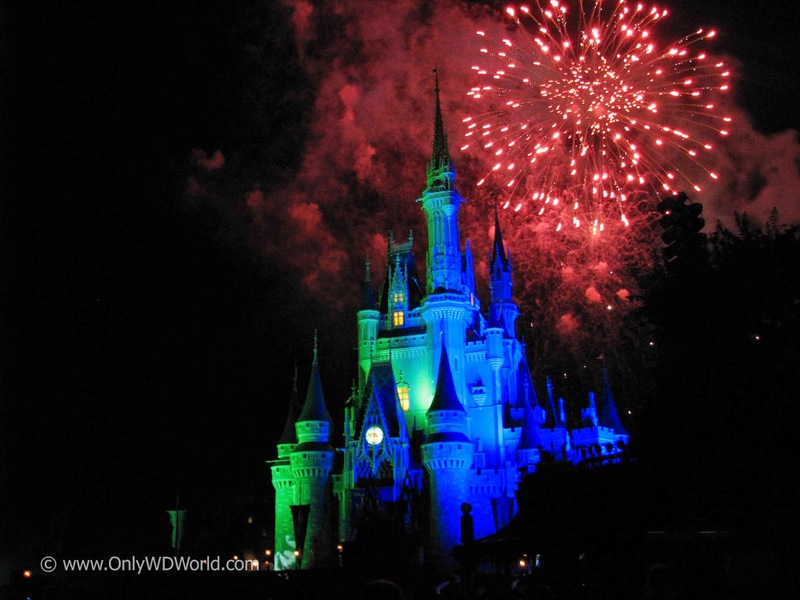 At the Magic Kingdom guests will get a chance to celebrate the Fourth of July on 2 nights! on both July 3rd and 4th, guests will enjoy Disney's Celebrate America - A Fourth Of July Concert In The Sky fireworks show at 9 pm. Exploding with color, light and sound, this thrilling show is a captivating patriotic extravaganza. Blazing fireworks and fantastic effects ignite the sky over Cinderella Castle, while a magnificent musical score surrounds you with joyous and uplifting songs. This lively tribute to America’s independence is one of the most elaborate nighttime spectacles ever seen at a Disney theme park, and it will fill you with pride as it awakens your imagination. Singing Patriotic Songs, Disney Characters in special costumes and Holiday Fireworks will greet Epcot guests during this Fourth of July! 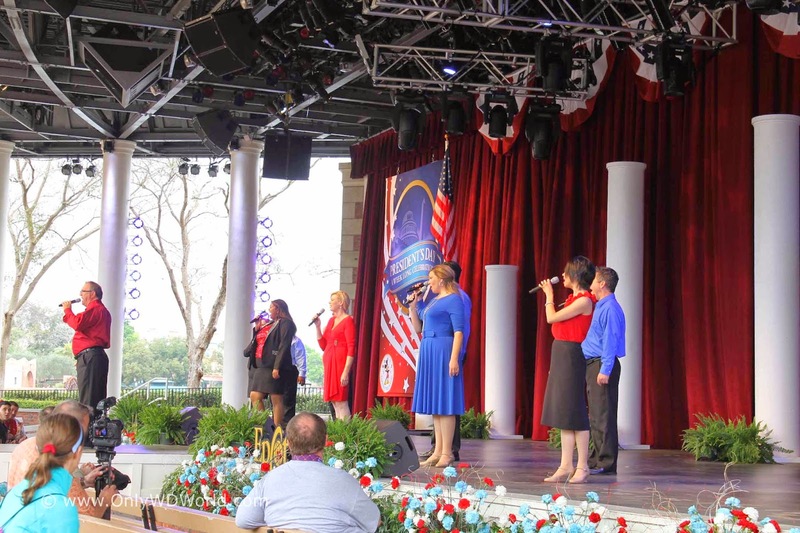 The Voices of Liberty will be performing special concert on July 4th in the America Gardens Theater at 12:30 p.m., 1:45 p.m., and 3 p.m.
Disney Characters in patriotic costumes will be outside the American Adventure Pavilion throughout the afternoon. The Spirit of American Fife & Drum Corps will be performing at 1 p.m., 2:15 p.m., 3:30 p.m., 4 p.m., and 4:45 p.m.
Illuminations Reflections of Earth will be at 10:00 pm with a special finale just for the 4th! See the sky ignite in a shower of shimmering light at Disney’s Hollywood Studios as The Hollywood Rockers hits the stage for a rock ‘n roll spectacular. A “Rockin’ 4th of July Celebration” at the Sorcerer’s Hat Stage on July 4, features the “Rock Your Summer Side” Dance Party, with a DJ and live band. The Hollywood Rockers will take you on a rock ‘n roll road trip across America that culminates with the band playing live during that night’s fireworks spectacular. The celebration kicks off at 6 p.m. and continues through 11 p.m., with fireworks at 10:15 p.m.
0 comments to "Fourth Of July Celebrations At Disney World"